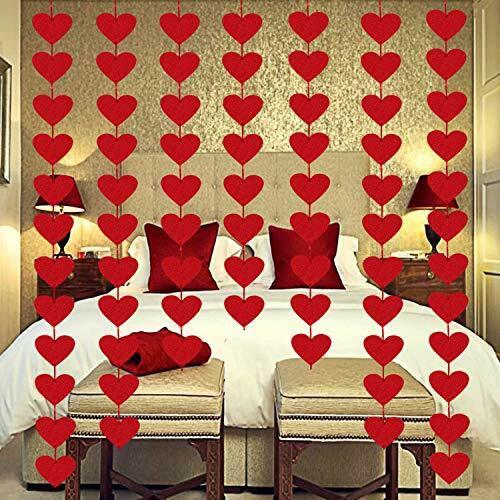 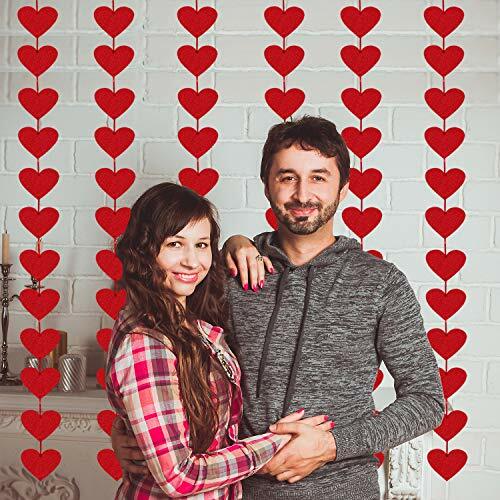 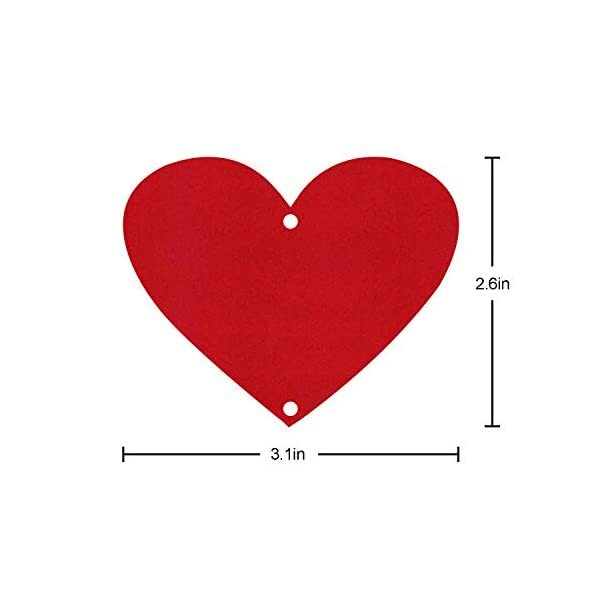 Perfect Valentine’s Day Decorations – Our felt heart hanging garlands will be perfect choice to decorate your home, office room, bedroom,shopping mall, window display, party decoration in Valentine’s Day…wherever you want to create a festive atmosphere. 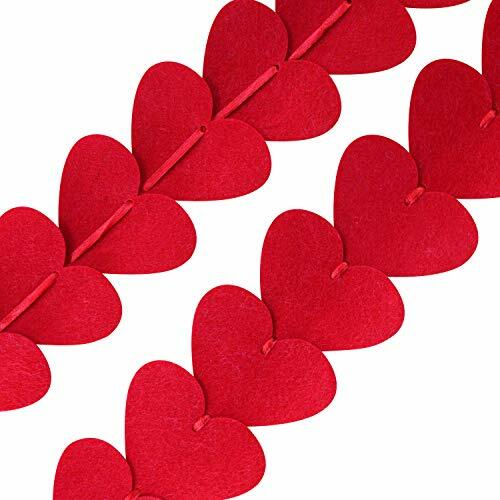 NO DIY NEEDED: the garlands come pre-assembled and ready to hang, no assembly needed of buyer. 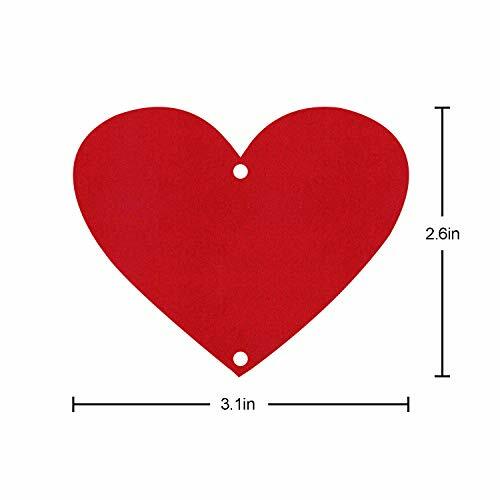 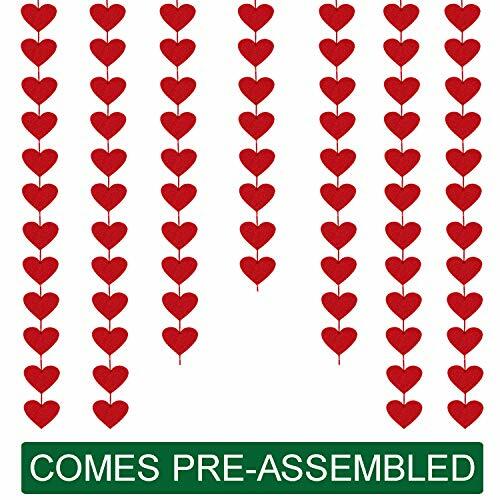 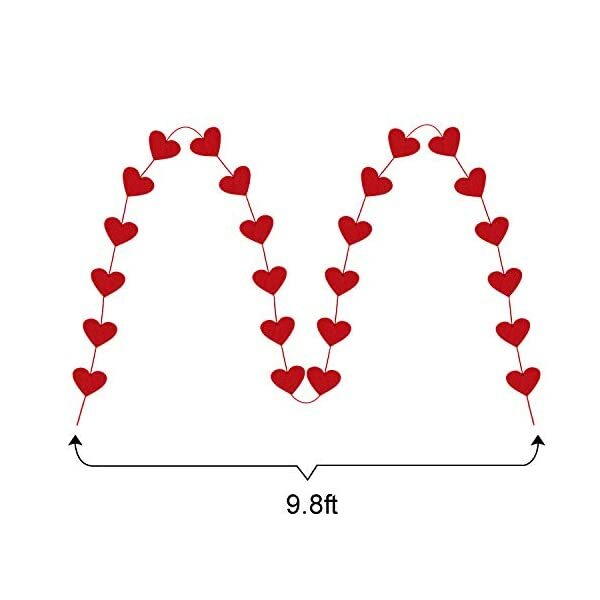 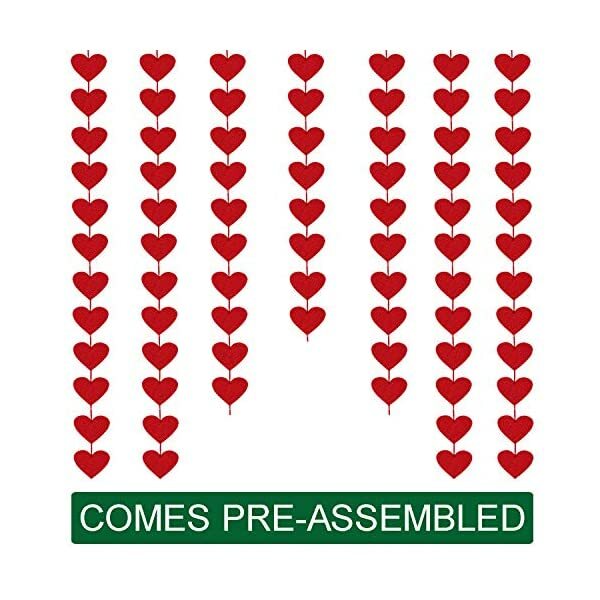 MATERIAL: Made of quality felt,one package include 3 garlands, each garland contains 24 red hearts,total 72 hearts, durable and reusable for many times using. 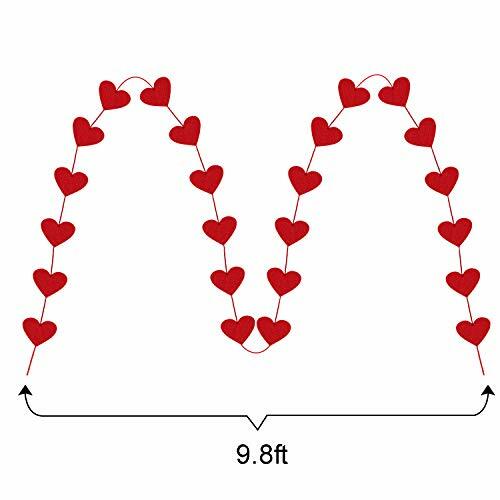 SIZE: each heart measures about 2.6 “*3.1” in diameter; and the rope is about 9.8ft long, you can also cut garlands into many parts to get the decorative effect you want. 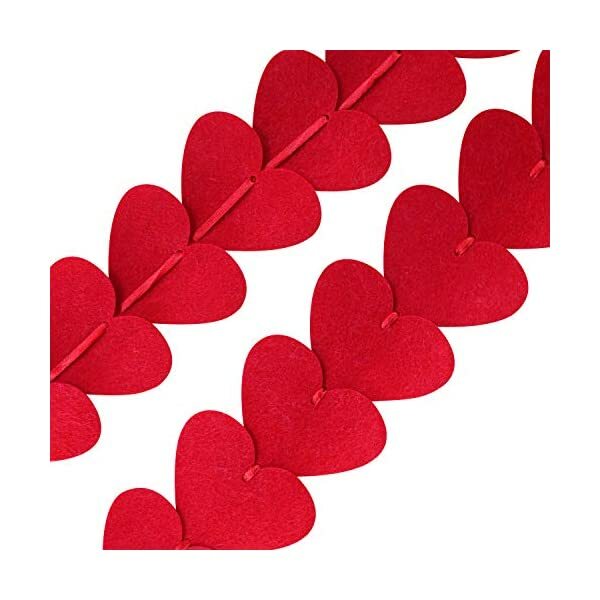 Special Touch for Special Day: This beautiful felt garlands look great on the wall, on the ceiling, around or above your desert table, on the the window or the shelves…anywhere you can imagine… create romantic atmosphere and give your lover a surprise.